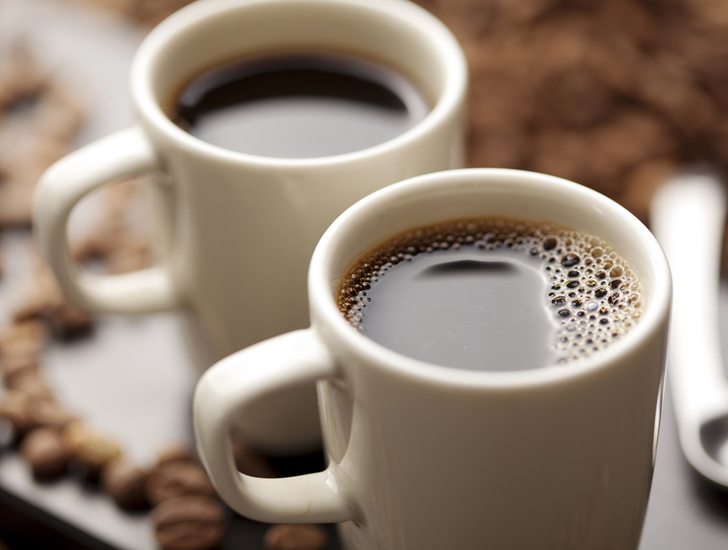 Your morning cup of joe may be next on the endangered list. A disease outbreak in Central America is threatening hundreds of thousands of farms by crippling coffee plants and causing their fruits not to ripen. The culprit, called coffee rust, is a leaf-blighting fungus thought to be flourishing now due to climate change. So far more than 50 percent of the coffee plants growing in Guatemala, Honduras, El Salvador, Nicaragua, Costa Rica and Panama have been affected by coffee rust. Coffee fields throughout Central America exhibit the same terrifying scene – barren forests of dehabilitated coffee plants. 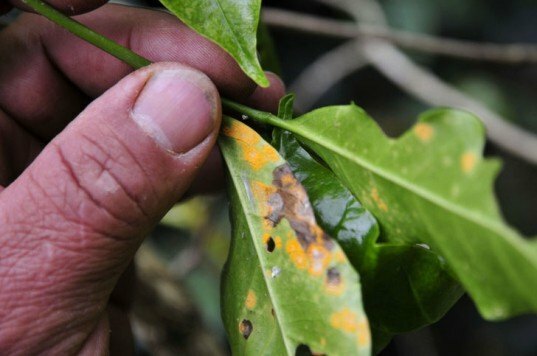 The coffee rust fungus is spreading like wildfire, causing coffee shrubs to literally rot on the branch and preventing fruits from reaching the ripening stage. Coffee rust was first seen in Central America in the 1970s, but it didn’t pose an industry threat until climate change kickstarted the fungus, allowing it to thrive in warmer, moister air over the past few years. Last year coffee production fell 15 percent, driving up the cost of coffee and putting 400,000 people out of work. Farmers can try to fight coffee rust by spraying fungicides or changing growing areas, but the fight won’t be easy. Infected trees take years to recover, so scientists are encouraging farmers to take preventative measures. Experts suspect that shifting weather patterns in Central and South America are affecting coffee crops, and they worry that if the trends continues a good cup of coffee will be hard to come by. Coffee rust has been around for centuries. It was first reported in the west, back in 1970 when it destroyed Brazil's coffee crop. It has been spreading globally. There is absolutely nothing linking coffee rust to climate change -- although the temperature has to be warm enough (10C) and cold enough (37C) and there needs to be rain. But those are standard coffee growing conditions. It is an airborne fungus. Blame the wind. Back in 1870 Sri Lanka changed their bean type to Robusta. Central America has been growing mostly Arabica which is the most susceptible variety.